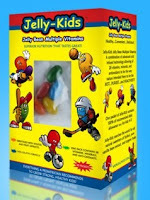 Head over here to request a free sample of Jelly-Kids Vitamins! Can't want to see if my daughter will take these! Thank you! I've tried this before on my children and they loved them! !